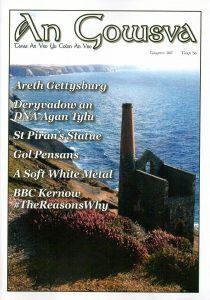 The Agan Tavas house magazine ‘An Gowsva’ has a new look. 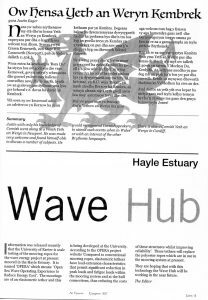 Thanks to the professional efforts of member Nigel Roberts An Gowsva has been given a whole new look which can proudly stand alongside many other high circulation publications of a similar type. Remember that you will receive three to four copies per year of the magazine when you join Agan Tavas.